Who knows. 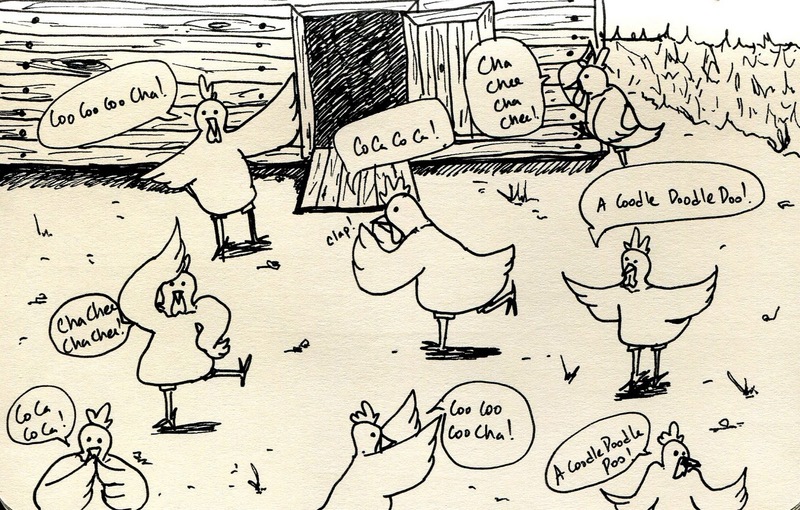 Maybe that's really how chickens sound and move. Maybe Lucille, George, Lindsay, and Gob had it right? 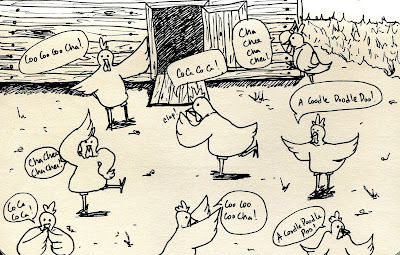 I've been rewatching Arrested Development episodes recently and those chicken interpretations crack me up each time. I can't decide which I like best - I'm undecided among George's, Lindsay's, and Gob's. Such a great show! BAHAHAHA! Love this. That was a GREAT series. Yes! It's still one of my favorite series ever.